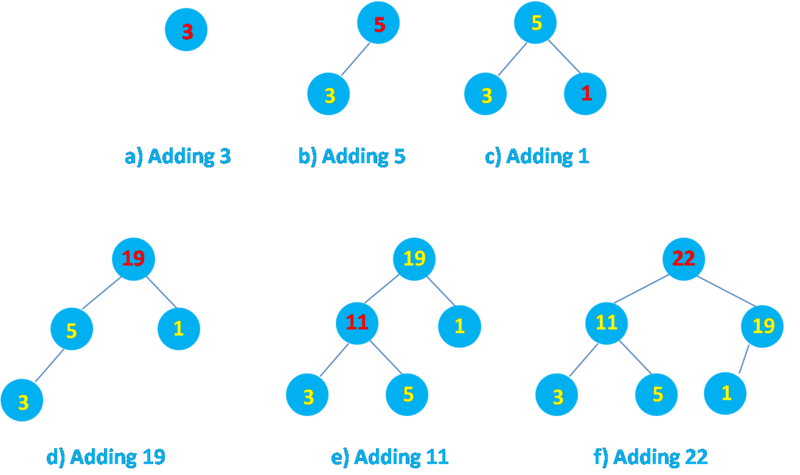 Heap sort uses a binary heap, which is a complete binary tree. 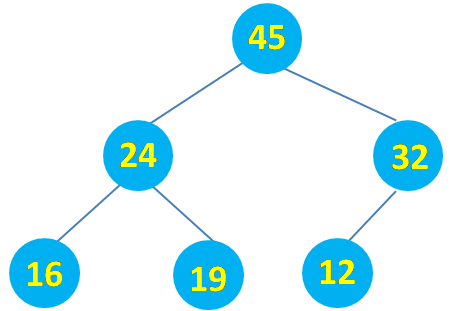 Binary Tree : A Binary Tree is a hierarchical structure that is either empty or consists of an element, called the root, and two distinct binary trees, called the left subtree and right subtree. It is a complete binary tree. 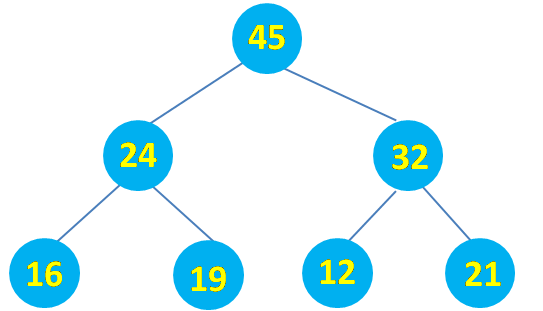 Each node is greater than or equal to any of its children. 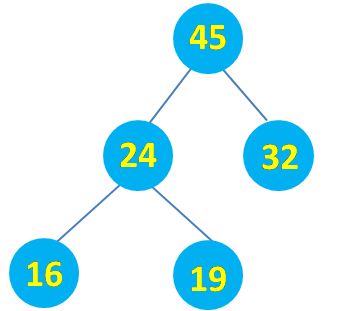 Complete Binary Tree : A binary tree is complete if each of its levels is full, except that the last level may not be full and all the leaves on the last level are placed leftmost. [45, 24, 32, 16,19,12, 21]. Suppose we want to insert 3, 5, 1, 19, 11, 22. We assume that the heap is initially empty. Now lets insert a new node 88 in the above heap. First we take input in an array. Then we insert these element in heap. As we know that root of the heap is maximum element so we remove root and rebuild heap so that the next maximum element is at root. Rebuilding ensures that our tree is in the form of heap. We store the root ( maximum element ) in decreasing order of array length. We could have used another array as well to store the root. that our tree is in the form of heap. Returns item = a wcich contains the root of the heap.